The Alarm are a Welsh alternative rock band formed in 1981. 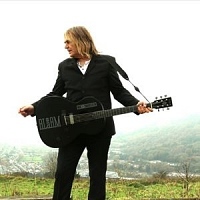 The band are fronted by singer, songwriter and guitarist Mike Peters. Their key songs include "68 Guns", "Rain In The Summertime", "Where Were You Hiding When The Storm Broke" and "Spirit Of 76".